Iron reacting with lead (II) nitrate. 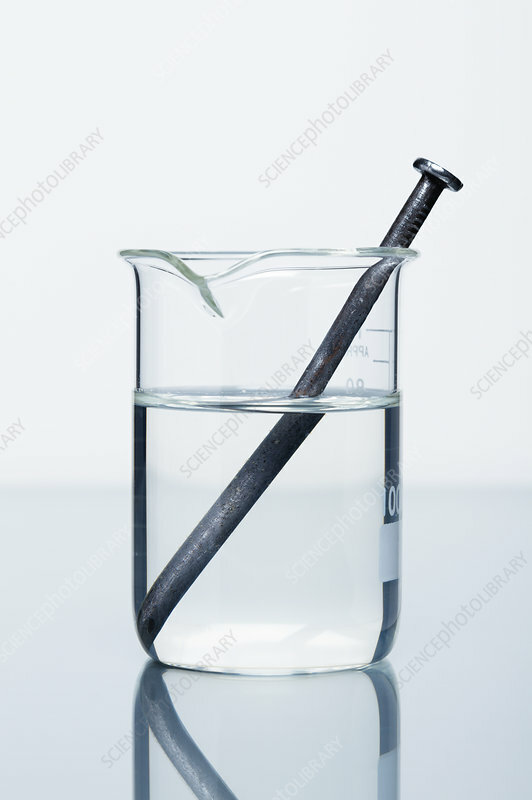 An iron (Fe) nail was immersed into a beaker containing 0.2 M solution of lead (II) nitrate. Since iron is more reactive than lead, a single-displacement reaction occurred: Fe + Pb(NO3)2 -> Pb + Fe(NO3)2. The reaction proceeded very slowly, after 24 hours only a faint coating of lead appeared on the nail.